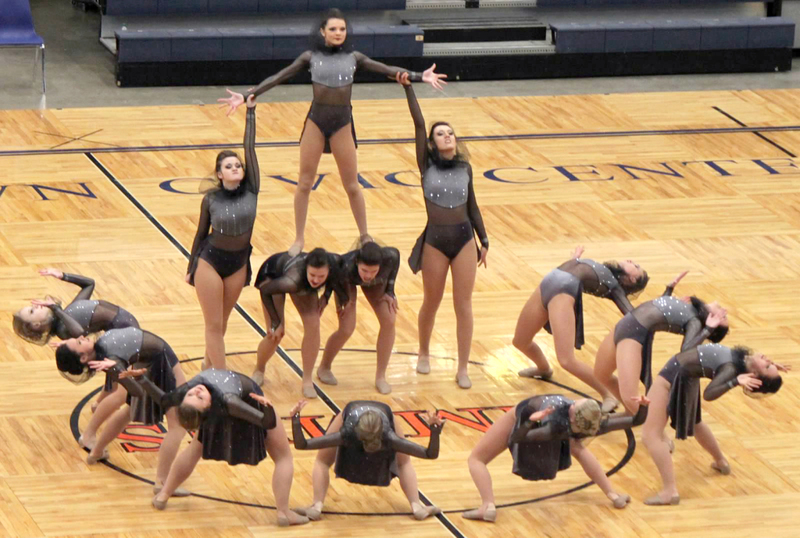 The West Fargo Dance Team designed two outstanding costumes for the 2014-2015 season. Competing in both high kick and jazz, the West Fargo Dance Team costumes were a definite crowd (and judge!) pleaser. Their song for jazz was “World on Fire” by Les Friction, about humans saving Earth from destruction. “We needed a uniform that gave the image of futuristic armor,” said Varsity Assistant Coach Gretchen Stafslien. To create the fierce ultramodern look, multiple fabric textures in tones of charcoal grey were used: tricot, velvet, and mesh. West Fargo got creative and added a few more finishing touches themselves: a mesh hood to add drama, and rhinestones stripes on the bodice to add a little sparkle. 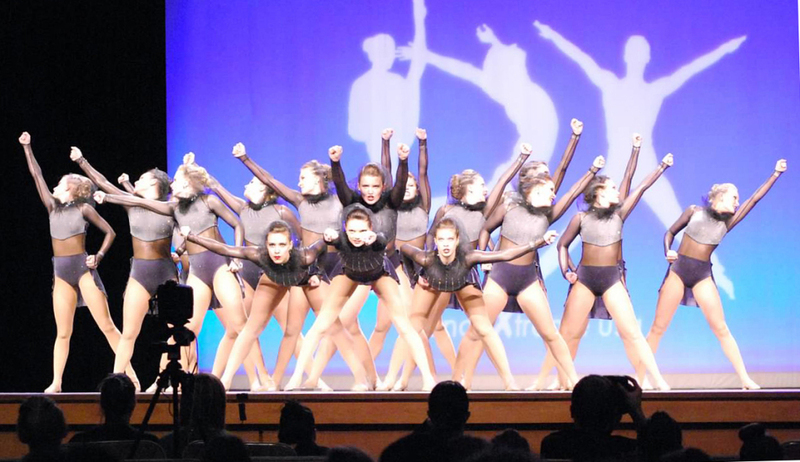 The routine was choreographed by Patrice Barakat Corral, and won 1st place at the ND State Dance Competition and Judge’s Choice at DX in Minneapolis, MN. Congrats! For 2014-2015 high kick, West Fargo used the song “I Will Survive” by J2. The routine was choreographed by Dan Sapp. 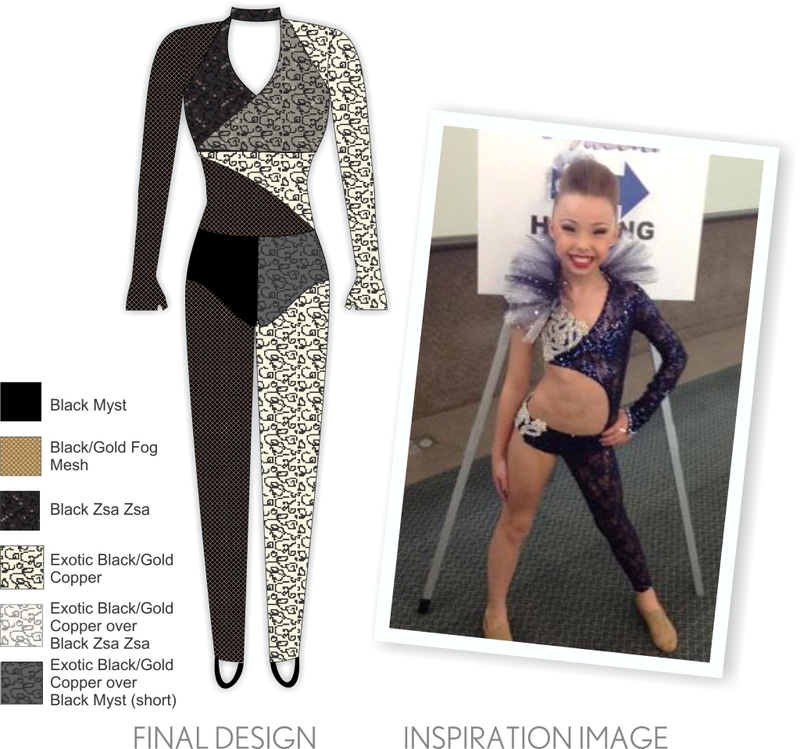 The costume design was inpired by a photo of a Sophia Lucia, and the look and feel was to be ‘animalistic’. The routine won 1st place at the ND State Competition, 3rd place at UDA Nationals in Orlando, FL, and awarded Best Costume at DX in Minneapolis. Congratulations on a GREAT 2014-2015 season, West Fargo! We look forward to starting your standout designs for next year- can't wait!